Carlton Fisk is not only a Hall of Famer, but a man who left his mark on the game well beyond the terrific numbers he accumulated during his illustrious career. Fisk, who won the AL Rookie of the Year in 1972, was the ultimate competitor whose fiery attitude made him a force to be reckoned with. In perhaps the best World Series ever played, Fisk captured the most memorable moment by winning Game 6 with a dramatic extra-inning homer. In the following article, we take a look at Fisk's career through the cardboard he was featured on. One of the reasons we collect is for the great experiences, which are sometimes unexpected. We develop relationships with fellow hobbyists, chase the collectibles we desire most and, once in a while, have the opportunity to meet some of the legends that drive the hobby. In the following piece, collector Pete Putman shares an experience he will never forget when he ran into the man who has more World Series rings than any other player in baseball history - Yogi Berra. This rookie card set covers the all-time best at a variety of positions, selected by an NFL Network panel in 2010. Jerry Rice, Jim Brown, Joe Montana, Lawrence Taylor and many of the most recognizable names in gridiron history can be found here. The 2012 winner for Best Overall Specialty Set has a set rating of 7.73 and continues to improve as it nears completion. Click here for a look. Fun, informative, and sometimes controversial, the PSA Set Registry Messageboard is the place to get involved with other collectors who are currently participating in the Set Registry program or are just beginning. Click here to chat on the Set Registry Messageboard. The PSA Set Registry is a work in progress and we invite your comments and ideas. Send your suggestions to [email protected]. Goldin Auctions Fall 2012 Premier Auction of Sports Memorabilia, Cards, and More. Now Open for Bidding! We invite you to register to receive a free full-color catalog for our upcoming Fall 2012 Premier Auction of Sports Memorabilia, Historical and Entertainment Industry Collectibles (www.GoldinAuctions.com/catalog.aspx). The auction features over 600 lots of the finest Sports Memorabilia and Collectibles in the industry. There are 566 lots for auction that will end on Thursday, October 18th, 2012, at 11 PM EST using the 15 minute rule. This auction features many high grade and low pop cards for collectors to complete their sets from the 1950s through the 1970s. There are nice groups of 1960 & 1967 Topps and much more. Nearly 3,000 lots on offer in Dallas, Oct. 26-28, including Mickey Mantle's All-Star Game bat, ticket stubs for 1912 Fenway Park grand opening and Wilt Chamberlain's 100-point game. Bidding is now open at Love of the Game Auctions, a new Internet-based sports auction house catering to the passionate collector of memorabilia and cards. With an inaugural auction highlighted by the most treasured and valuable of all football cards - the 1935 National Chicle Bronko Nagurski - the company is inviting new bidders to register online and begin bidding. 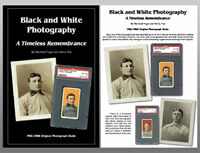 A Visual Tour of Photos Used to Create Baseball Cards and Memorabilia. Which of the following rookie cards of great NFL running backs do you feel is the most undervalued? Click here to answer; and to view the latest issue's survey results. 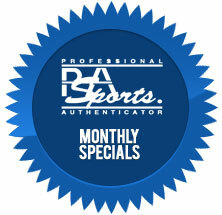 © 1999 - 2012 Professional Sports Authenticator. All Rights Reserved.